Ms. Shvetzoff is Executive Vice President, Consulting at Health Dimensions Group. Health Dimensions Group is a leading, nationwide post-acute and senior living management and consulting firm. Serving the industry for over 20 years, HDG’s focus is on the aging services continuum. As consultants and operators, we are familiar with the challenges our clients face. 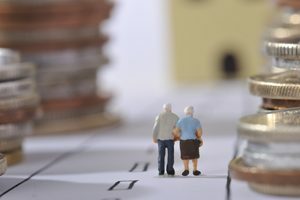 HDG has identified nine trends in 2018 that will continue to radically transform senior care, including evolving ownership models, value-based payment growth, labor shortages, occupancy and demand fluctuations, regulatory pressures, senior living medicalization, and partnership expansion. Driven by domestic and international financial interest in the industry, 2018 will see continued growth of the senior living and skilled nursing sectors. We will continue to see investment in new senior living properties, especially among larger investors looking to build multi-site organizations in preparation for increasing demand. Skilled nursing facilities (SNFs) will see changes in ownership as some owners leave the business; demand for focused post-acute settings increases; and the bankruptcy, reorganization, and divestiture of large organizations’ assets continue to flood the market. Since improving quality and lowering costs never go out of style, it is safe to assume there will be continued focus on incentivizing value directly through payment systems. In 2018, we are likely to see continued development of proposals to refine both the SNF and home health prospective payment systems (PPS), focusing on shortening lengths of stay and incentivizing the most efficient modality of care. There will be increased attention on readmissions through implementation of the SNF value-based payment adjustment. In terms of alternative payment models, expect many accountable care organizations to move towards accepting downside risk through Track 1+ and increase their focus on post-acute care. Also, look for the next round of the Bundled Payments for Care Improvement (BPCI) program, referred to as BPCI Advanced, as the current bundled payment program sunsets and mandatory episode payment models are canceled. BPCI Advanced will be a voluntary program that links quality and costs in an episodic payment framework. Another round of voluntary bundling could actually have a much bigger and more immediate impact than the canceled mandatory episode payment models, as the voluntary program will be dealing with highly motivated participants and quicker transition to behavior-changing downside risk. Nationally, post-acute and long-term care providers are seeing challenges with occupancy, labor, and resources. Rural communities share these challenges and they are often exacerbated, given facility size and geography. In 2018, expect providers to creatively change and expand the services offered to include housing, home health, and other community services. As the labor market continues to shrink and employees with specific skills are harder to find, health care providers will use centralized services for areas like human resources, payroll, and billing. We may also see providers combining forces to create joint operations for scale and staffing, following a model similar to school districts. The demand for senior living is continuing to increase as the senior population grows at substantial rates. The United States Census Bureau projects a senior population of 56 million by 2020, and 74 million by 2030, drastically increasing the need for senior housing. As new products and offerings enter the market, currently operating campuses and stand-alone facilities need to adapt their services and pricing structure to remain competitive. With younger seniors entering senior communities, their expectations and technological skills will be different than communities have traditionally experienced. In addition, the average senior living resident is older and frailer than in years past, requiring communities to be able to care for a more complex resident. Despite a continued growth in the senior population, nursing home occupancies continue to decline as more options and payment alternatives delay and/or prevent long-term and transitional care placement. According to the National Investment Center for Senior Housing & Care, nursing home occupancies have declined from nearly 86 percent in 2012 to less than 82 percent in 2017. In addition to lower occupancies, the length of stay of individuals utilizing their Medicare benefit in a SNF continues to decline due to pressures from value-based payment models, risk-based payors, and consumer preference. Additionally, the length of stay of individuals utilizing their Medicare benefit in a SNF will be tempered due to lower acuity individuals bypassing the nursing home entirely and using alternative services, such as home health for rehabilitation services, leaving a more-frail population as the primary utilizer of SNF services. Approaching the halfway point of implementation of all three phases of the new and/or revised Centers for Medicare and Medicaid Services (CMS) Requirements of Participation (RoP), providers are scrambling to install the operational framework to ensure compliance in advance of the two remaining deadlines in 2017 and 2019. The new rules, coupled with a promise of additional federal resources to investigate compliance with minimum standards, may represent the greatest enhancement of regulatory oversight of SNFs in nearly 30 years. Outcry by providers garnered only a temporary delay in enforcement sanctions and leniency with certain five-star rating impacts for one year. As providers struggle for traction, there are lessons to be learned about what is working and what is not. The impact of managed care growth will continue to be felt in the post-acute and long-term care sector. Medicare Advantage (MA) now accounts for one-third of Medicare beneficiaries, up from 22 percent in 2008. In markets that have shifted away from fee-for-service dominance, we have seen lowered average lengths of stays and a shift away from institutional to home- and community-based settings. Managed care penetration varies from market-to-market, with Minnesota having the highest statewide penetration at 57 percent. As MA enrollment and penetration continues to grow, providers will increasingly need to shift away from a fee-for-service model to meet managed contract expectations. It will become increasingly important to understand those market shifts and secure adequate managed care contracts in order to remain competitive. The average age of an assisted living resident continues to increase, with the current average age at 87 years, according to the Assisted Living Federation of America. With this increase in age comes the natural increase in chronic conditions and increased risks such as falls. Assisted living and senior living providers will have to address these care needs in order to stay competitive in the marketplace. These care needs will continue to be addressed through both internal and external channels. Internal channels will include the development of different care levels to simplify the cost and pricing structure, and evaluation of each specific community to identify resources necessary to allow residents to age in place. External channels will see a continued increase in deliberate and thorough wellness and therapy programs, as well as partnerships with skilled providers such as primary care providers (e.g., physicians and nurse practitioners) and home- and community-based services (e.g., home health, hospice, and private duty agencies) to provide on-site services. As the march towards value-based payment continues, provider partnerships are increasingly recognized as a cornerstone to success. For hospitals and health systems that do not have a full continuum of post-acute services, formalized partnerships will continue to develop. Preferred networks will tighten, clinical integration will expand, and unique payor relationships will develop. These may include hospital payment for SNF stays and bed leasing models to facilitate the discharge of hard-to-place patients to post-acute care. These partnerships, driven by quality, cost and satisfaction outcomes, will fall outside of anti-kickback areas of concerns. « Year-End Tax Strategy… A Bigger Return?